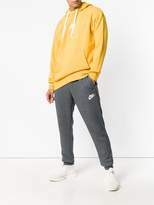 American sportswear giant Nike was originally founded in 1964 under the handle Blue Ribbon Sports by Bill Bowerman and Phil Knight, later taking on the Nike appellation in 1971. 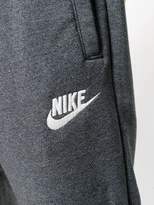 Named after the Greek goddess of victory, Nike’s signature swoosh logo is considered to be one of the most iconic, adorned across the label’s clothing, footwear and accessories. 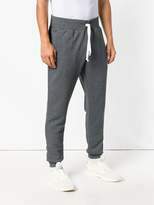 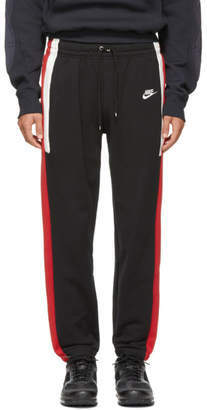 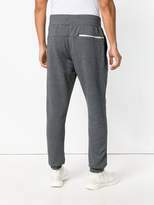 Designed from a cotton blend, these grey sports trousers from Nike feature an elasticated drawstring waist, side slit pockets, a loose fit and elasticated cuffs.